Aim: The objective of this study was to quantitatively evaluate the remineralization potential of casein phosphopeptide-amor­phous calcium phosphate paste on enamel subsurface lesions using scanning electron microscopy with energy dispersive X-ray analysis (SEM-EDX). Materials and Methods: Ninety enamel specimens were prepared from extracted human molars. All specimens were evaluated for mineral content (% weight) using SEM-EDX. The specimens were placed in demineralizing solution for four days to produce artificial carious lesions. 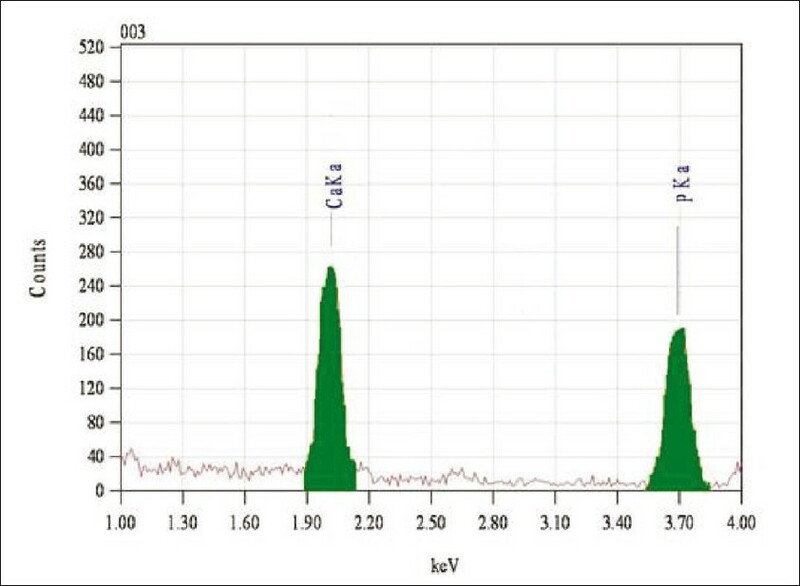 The mineral content (calcium/phosphorus ratios, Ca/P ratios) was remeasured using SEM-EDX. The specimens were then randomly assigned to five study groups and one control group of 15 specimens per group. Except for the control group, all group specimens were incubated in remineralizing paste (CPP-ACP paste) for 7, 14, 21, 28, and 35 days twice daily for three minutes. The control group received no treatment with remineralizing paste. All the 90 specimens were stored in artificial saliva at 37°C. 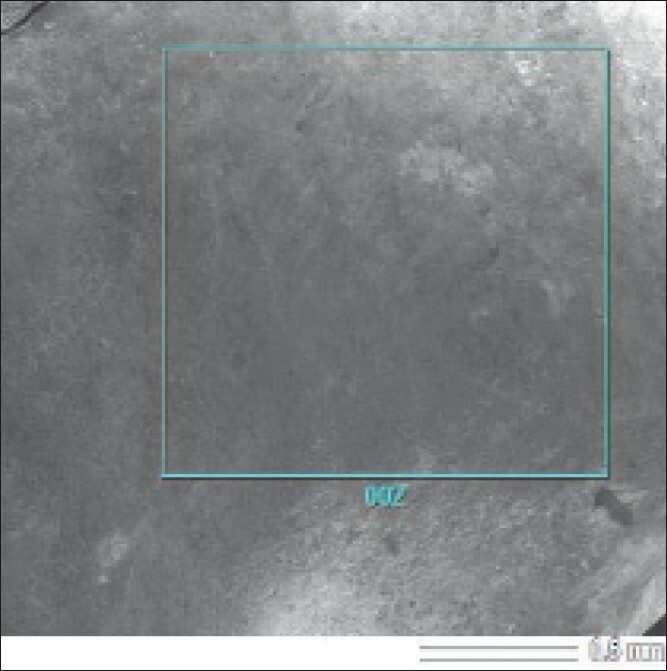 After remineralization, the mineral content (% weight) of the samples was measured using SEM-EDX. Results: All the study groups showed very highly significant differences between Ca/P ratios of the demineralized and remineralized samples. There was no significant difference seen in the control group. Conclusion: CPP-ACP paste could significantly remineralize the artificial enamel subsurface lesions in vitro: the remineralizing rates increasing with the time for which the samples were kept in the remineralizing paste. Energy dispersive X-ray analysis is an efficient way to quantitatively assess the changes in mineral content during demineralization and in vitro remineralization processes. The anticariogenic activity of CPP-ACP has led to its incorporation into food products and dental products as a new tool in the fight against dental caries. 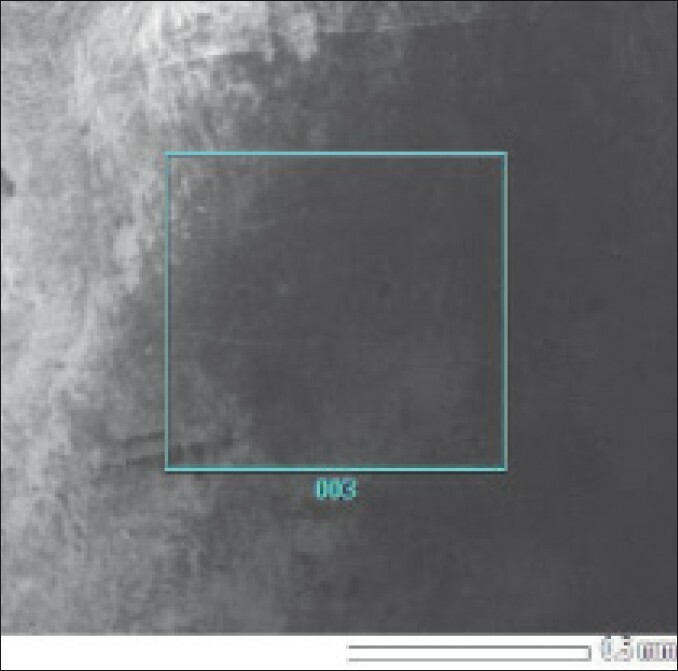 Hence, the aim of this study was to assess the remineralization potential of casein phosphopeptide-amorphous calcium phosphate paste on enamel subsurface lesions. Ninety enamel specimens, 4 mm X 4 mm X 1 mm in size, were prepared from the buccal surfaces of extracted human molar teeth using a low-speed diamond disc. All specimens were evaluated for mineral content (% weight) using SEM-EDX [Figure 1]. 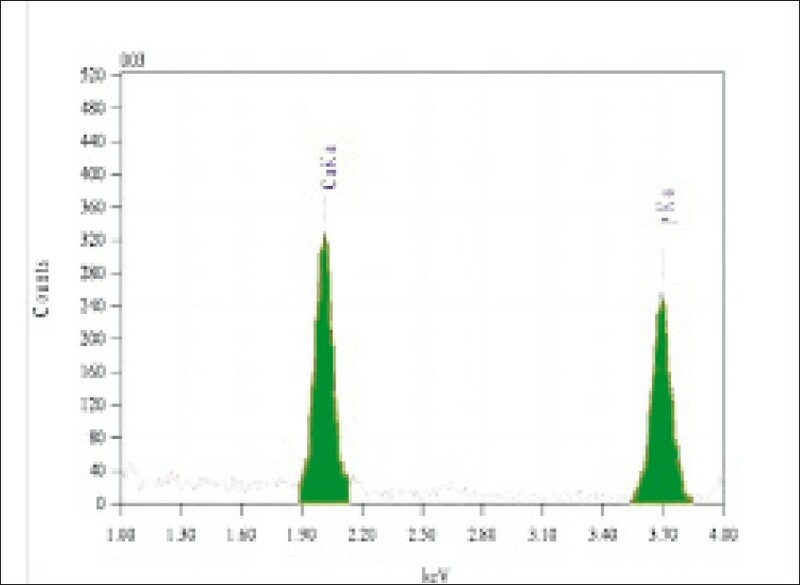 The specimens were placed in the demineralizing solution containing 20 ml of acid buffer with 2 mmol/L Ca 2+ , 2 mmol/L PO 4 3- , and 0.075 mol/L acetate at pH 4.3 for four days at 37°C to produce artificial carious lesions. 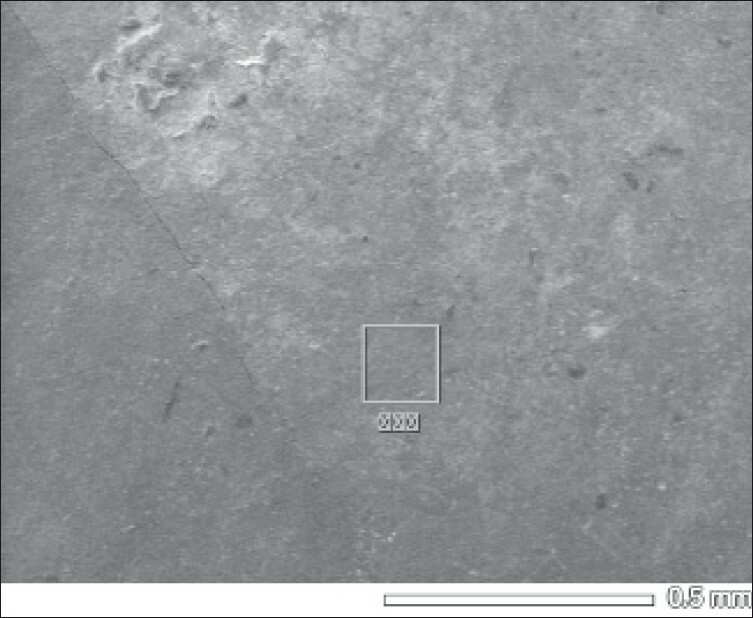 All specimens were evaluated for any loss of mineral content (wt %) using SEM-EDX on the 5 th day [Figure 2]. The specimens were randomly assigned to two groups: group 1 contained 15 specimens (control group) and group 2 contained 75 specimens (study group). The study group was subdivided into five groups of 15 specimens per group. Each subgroup was treated with remineralizing paste [10% CPP-ACP paste (GC-Tooth Mousse)] using a stainless steel spatula for seven days (subgroup 2a), 14 days (subgroup 2b), 21 days (subgroup 2c), 28 days (subgroup 2d), and 35 days (subgroup 2e), twice daily for three minutes followed by incubation in artificial saliva at 37°C. The specimens in the control group (group 1) were incubated in artificial saliva at 37°C after demineralization for a period of 35 days but received no treatment with remineralizing paste. 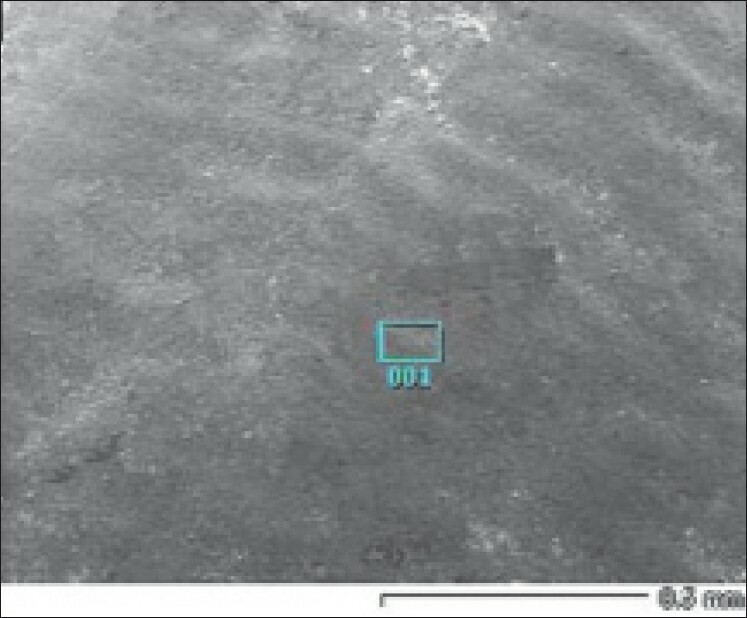 SEM-EDX was done to measure mineral content after the remineralization process. 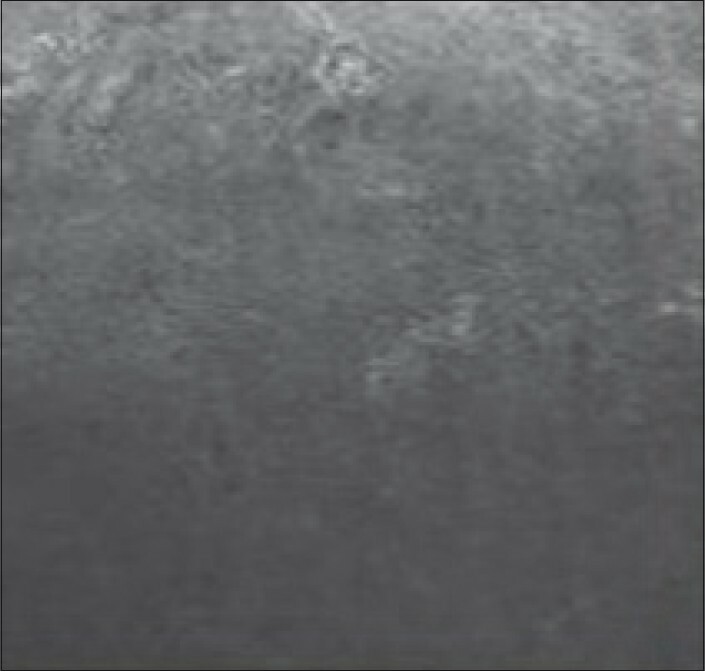 The present study evaluated the remineralization potential of CPP-ACP paste on artificial enamel subsurface lesions using SEM-EDX. 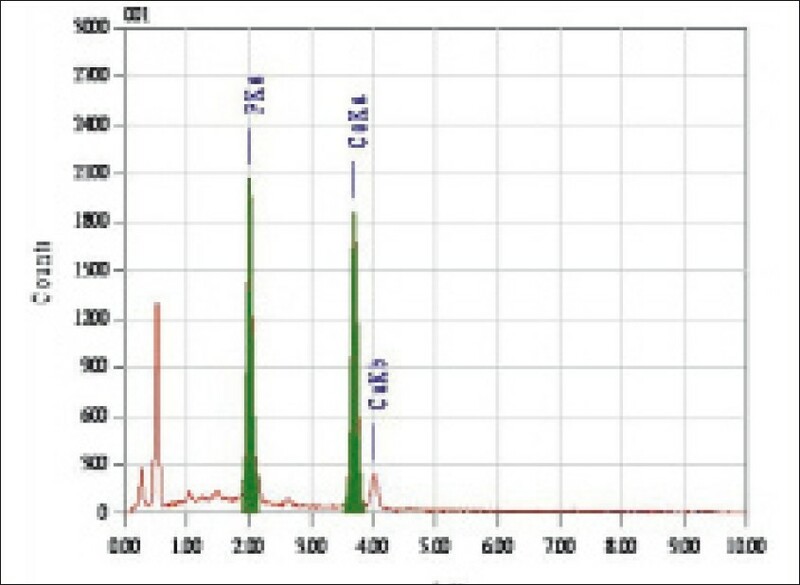 Energy dispersive X-ray analysis was used to determine calcium and phosphorus content in % weight of sound, demineralized, and remineralized enamel in each group. The calcium and phosphorus content was then converted into Ca/P ratios for each group from the obtained data. 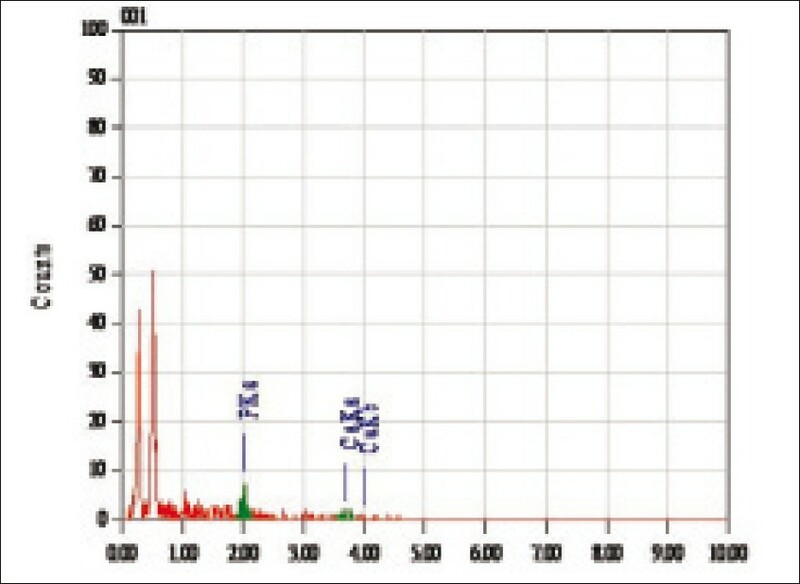 [Figure 3], [Figure 4], [Figure 5], [Figure 6] and [Figure 7] demonstrates the elemental analysis of study groups [Sub groups 2a - 2e ] for different periods of treatment time with CPP-ACP. [Table 1]: Illustrates comparision of mean Ca/P ratios of Sound, Demineralized, Remineralized enamel samples. Statistical analysis was done using one-Way Anova, Tukey's HSD, and Student t-test. Comparison of Ca/P ratios of the sound enamel samples and Ca/P ratios of the demineralized enamel samples in all the groups using one-way Anova revealed that there was no statistically significant difference between the groups. 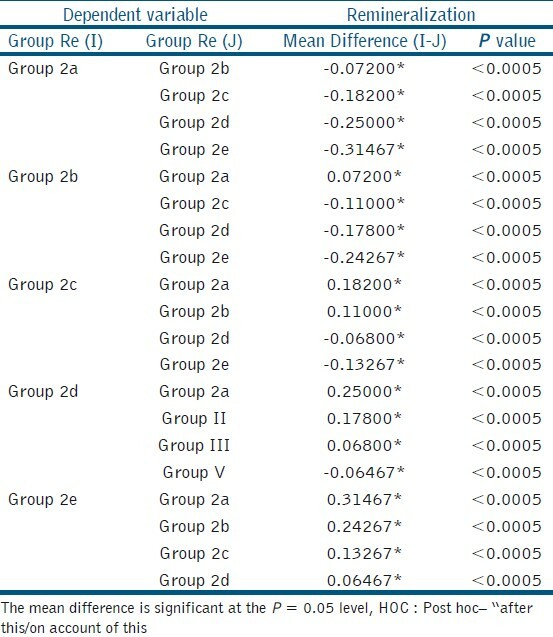 One-way Anova was applied to compare the mean Ca/P ratios of the study groups after remineralization, which was found to increase to 1.93 ± 0.02 on the 35th day. This increase in the mean Ca/P ratio from the seventh to the 35 th days had P < 0.0005, implying a very high statistically significant difference in the remineralization potential over this period. Tukey HSD was done for intergroup comparison [Table 2] and P < 0.0005 for all the comparisons suggested very high significance. 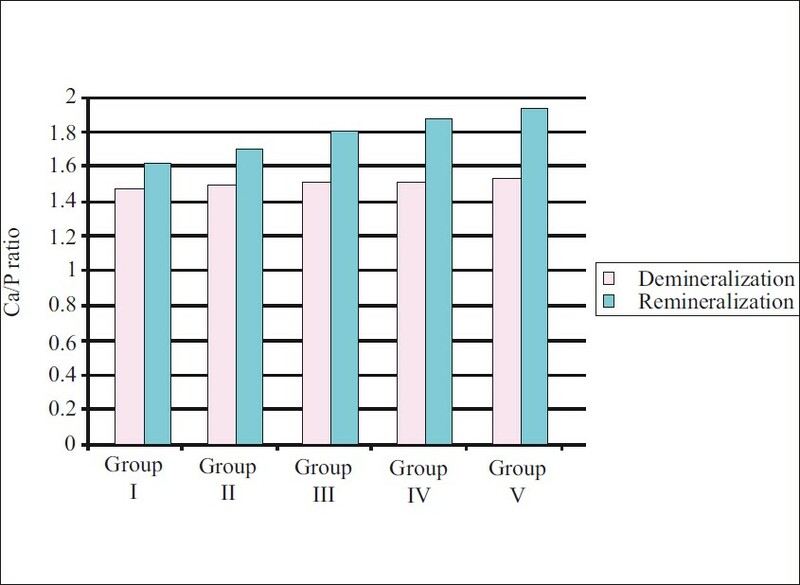 The t-test was done to statistically analyze the mean Ca/P ratios of demineralized and remineralized specimens in each group [Table 3] and [Figure 8]. The value of significance was set at P < 0.05 and it was seen that all the study groups revealed highly significant results between the Ca/P ratios of the demineralized and remineralized samples. Representative SEM images of the enamel specimens are shown in [Figure 9], [Figure 10], [Figure 11], [Figure 12], [Figure 13], [Figure 14] and [Figure 15]. Enamel specimens treated with CPP-ACP paste revealed slight changes in their morphological features. In the present study, the remineralization potential of CPP-ACP for enamel subsurface lesions was evaluated using SEM-EDX. GC Tooth Mousse is a water-based, lactose-free creme containing 10% w/w Recaldent CPP-ACP. When CPP-ACP is applied in the oral environment, it will bind to biofilms, plaque, bacteria, hydroxyapatite, and soft tissue, localizing bioavailable calcium localizes and phosphate. CPP-ACP thus, localizes ACP on the tooth surface, and buffers the free calcium and phosphate ion activities, helping to maintain a state of supersaturation with respect to the enamel by suppressing demineralization and enhancing remineralization. The CPP has a substantial ability to stabilize calcium phosphate in solution. The peptide was found to bind 21 calcium and 14 phosphorus ions per molecule. The remineralization process involves diffusion of calcium and phosphate ions through the protein/water-filled pores of the carious surface enamel into the body of the enamel lesion. Once in the body of the enamel lesion, these calcium and phosphate species increase the activities of Ca 2+ and PO4 3- , thereby increasing the degree of saturation with respect to hydroxyapatite. According to Yamaguchi et al . Hegde et al . and Oshiro et al . 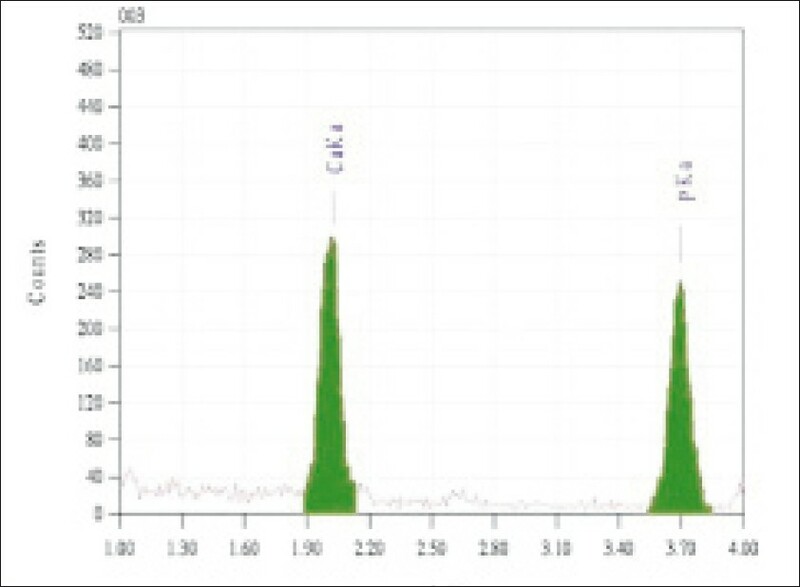 the inorganic components contained in high concentrations in CPP-ACP acted to enhance remineralization of the enamel. This is consistent with the results of the present study. Enamel specimens treated with CPP-ACP paste revealed slight changes in their morphological features. The surface morphologies of the specimens in the study groups showed no apparent differences among the different storage periods. This is in accordance with the study conducted by Oshiro et al. 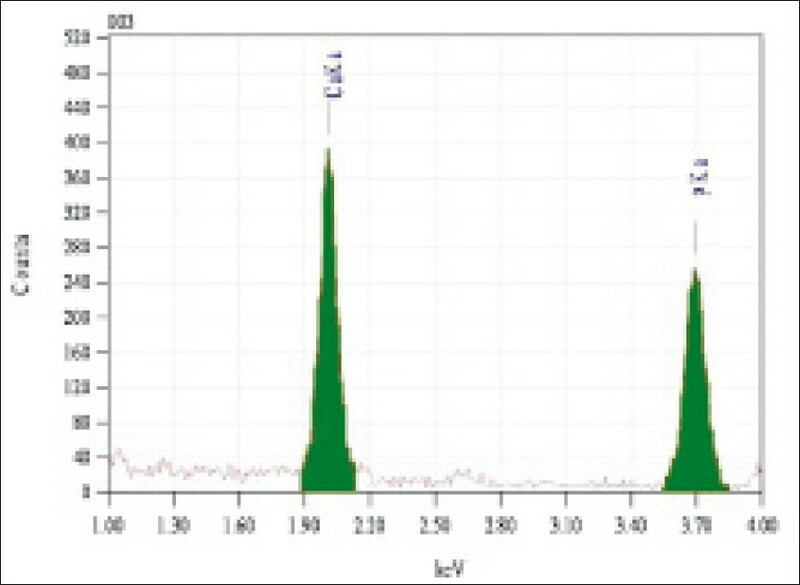 10% CPP-ACP paste significantly remineralized the artificial enamel subsurface lesions in vitro . The remineralization achieved was dose-dependent as the remineralizing rate increased with the time for which the enamel was exposed to the CPP-APP paste. EDX was found to be an efficient way to quantitatively assess the changes in mineral content during in vitro caries studies. The financial assistance provided by the Indian Council of Medical Research is gratefully acknowledged. 1. Yamaguchi K, Miyazaki M, Takamizawa T, Inage H, Moore BK. Effect of CPPACP paste on mechanical properties of bovine enamel as determined by an ultrasonic device. J Dent 2006;34:230-6. 2. Reynolds EC. Casein phosphopeptide - amorphous calcium phosphate and the remineralization of enamel. US DENTISTRY 2006. 51-54. 3. Hegde MN, Shetty S, Pardal D. Remineralization of enamel sub­surface lesion using casein phosphopeptide-amorphous calcium phosphate. J Conserv Dent 2007;10:19-25. 4. Reynolds EC. Remineralization of enamel subsurface lesions by casein Phosphopeptide-stabilized calcium phosphate solutions. J Dent Res 1997;76:1587-95. 5. Reynolds EC, Cai F, Shen P, Walker GD. Retention in plaque and remineralization of enamel lesions by various forms of calcium in a mouthrinse or sugar free chewing gum. 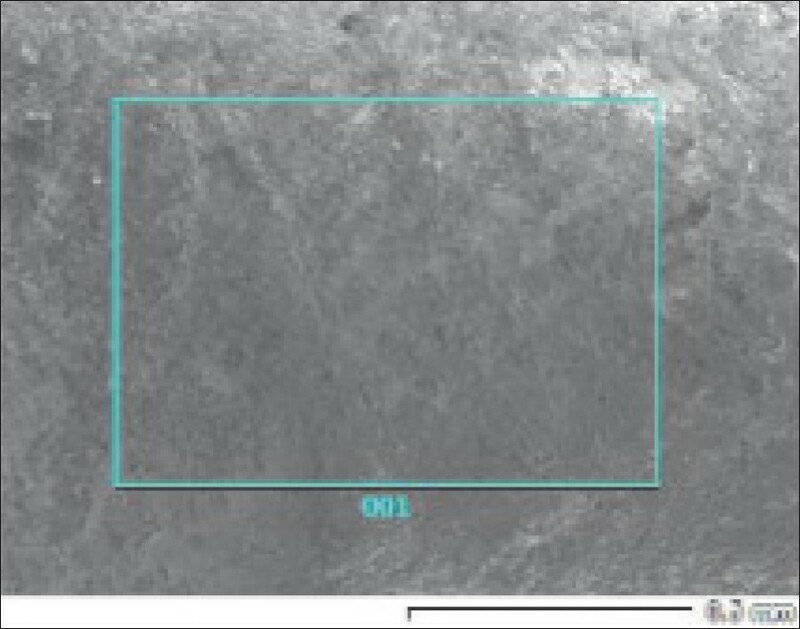 J Dent Res 2003;82:206-11. 6. 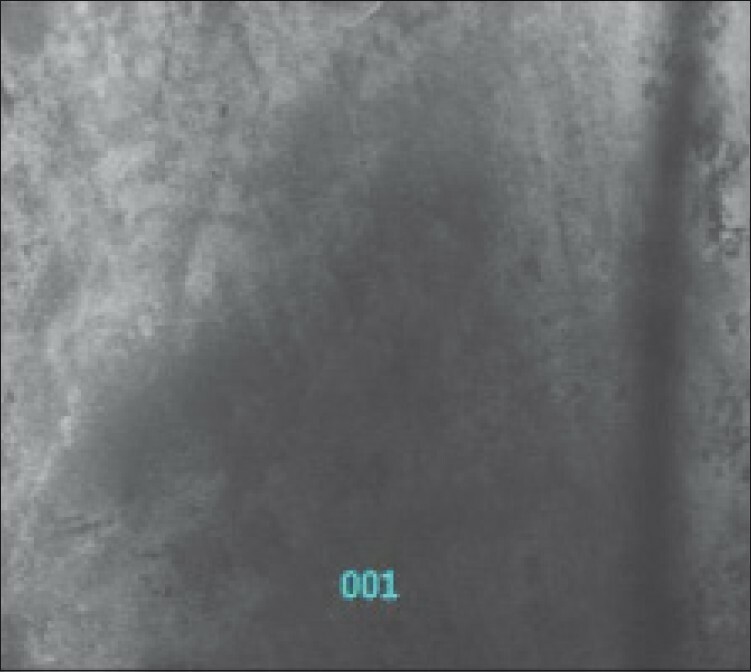 Oshiro M, Yamaguchi K, Takamizawa T. Effect of CPP-ACP paste on tooth mineralization: An FE-SEM study. J Oral Sci 2007;49:115-20. 1 Role of casein phosphopeptide amorphous calcium phosphate in remineralization of white spot lesions and inhibition of Streptococcus mutans? Vashisht, R. and Indira, R. and Ramachandran, S. and Kumar, A. and Srinivasan, M.R.